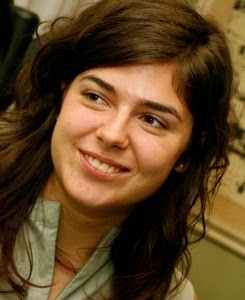 Giorgia Barboni is a Principle Investigator on a few IFMR LEAD projects. She was recently in India conducting research work. We took this opportunity to ask her about her research experiences in India and more. According to you, what research areas should India currently be focusing on to achieve inclusive and sustainable growth? I believe that promoting entrepreneurship and business innovation, particularly by facilitating firms’ access to credit, is an essential feature to enhance economic growth. Financial inclusion and, more in general, the determinants of MSMEs’ growth, represent two research areas where India has already been devoting a large, significant effort, starting from early works related to the “microfinance revolution”. Yet, not all research questions have been entirely addressed. For instance, further evidence is needed to understand how to foster Indian MSMEs’ productivity beyond subsistence level by relaxing credit constraints. Some important lessons can already be drawn from the recent changes the Indian banking landscape is experiencing (an increasing number of MFIs offering individual loans, the introduction of a “bank licence” to facilitate the creation of small banks and payment banks, as well as the provision of secured loans by a few NBFCs. These transformations will deeply affect the type of credit contracts Indian MSMEs are offered. At the same time, they provide the unique opportunity to understand how firms’ productivity (measured, for instance, through returns on capital), is affected by credit supply. What challenges do you face working within the Indian socio-economic and political set-up? What strategies do you use to adapt? As a person who grew up and completed her studies in Europe, I must admit that it is not always easy to understand the cultural, socio-economic and political complexity of a country like India. As a result, sometimes the research questions I come up with, although interesting from an academic perspective, may not fully address the problems faced by my “target population”. This represents for me the biggest challenge in my work, as I believe that my research should have, instead, a straightforward application in the life of its ultimate recipients. Therefore, discussing with partners operating in the Indian microfinance sector, conducting preliminary discussions with small entrepreneurs and their families, listening to the needs of the poor are all essential aspects to overcome these critical issues. In this sense, the extraordinary partnership established with IFMR really helps me bridge the gap between what I learn from the economic theory and what I should learn from the field. One of your projects in India is on the microfinance sector, how would you define the role of microfinance institutions (MFIs) towards achieving financial inclusion in India? There is no doubt that the role of MFIs is nowadays becoming even more strategic than in the past. The introduction of the individual lending methodology, targeting both micro and small businesses, represents a crucial step for MFIs in promoting financial inclusion, not only among the “productive poor”, but also among more innovation-oriented entrepreneurs. Historically, MFIs have extensively financed microenterprises through group lending, but have mostly failed in reaching out to larger businesses. On the contrary, MFIs, along with other Non-Banking Financial Companies (NBFCs), are now removing the traditional obstacles to entrepreneurship and business growth faced by small entrepreneurs, by offering more sophisticated credit contracts that meet the financial needs of this client segment. In this sense, MFIs are actively contributing to the reduction of the SMEs gap (the so-called ‘missing middle’), through the provision of larger loans to a relatively riskier (but also more productive) pool of clients. What do you think are the key research requirements of the microfinance industry or of the financial inclusion landscape in India in general? In light of what I just said, I believe there is a great interest from the microfinance industry to understand, on the one hand, what innovations can be introduced within their current financial products, particularly in relation to their debt structure, and, on the other hand, what changes (if any) are needed in their screening process, especially as a result of the adoption of the individual lending methodology. At present, an increasing effort from researchers has been devoted to understand how the relaxation of credit constraints (and, in particular, of repayment rigidity) can impact on business performance and on borrowers’ default. On the contrary, very little we know about how borrowers (characterised by different cash flows) self-select into contracts with different forms of repayment flexibility. Research in this direction can help MFIs both streamline this “upgrading” process and reduce the transaction costs related to the evaluation of new loan applications. You are working in other countries as well in Europe and Africa, how do you see research from different countries contributing to a common learning? Do you see any scope of influencing policy or practice or innovation in one country using the findings from others? Carrying out research in different countries means tackling the same problem through different perspectives, and – hopefully – testing different solutions to it. Lessons from behavioural economics, for example, reveal how important it is to mitigate time inconsistencies and other cognitive biases for an informed use of financial products. Interestingly, results hold for both developing and developed countries. Yet, there are cases in which it is not possible to achieve the same evidence across countries, mostly because of institutional barriers and different socio-economic contexts. For instance, although we are all well aware that financial exclusion is a widespread phenomenon, also in more developed countries, very little is known about what interventions are the most effective in these contexts. In these cases, existing evidence from emerging countries represent a valid benchmark for designing policies and implementing new practices targeting the poor. Another example is mobile money, which represents one of the main financial instruments to promote financial inclusion in Sub Saharan Africa, but which has found very little diffusion in South and East Asia. 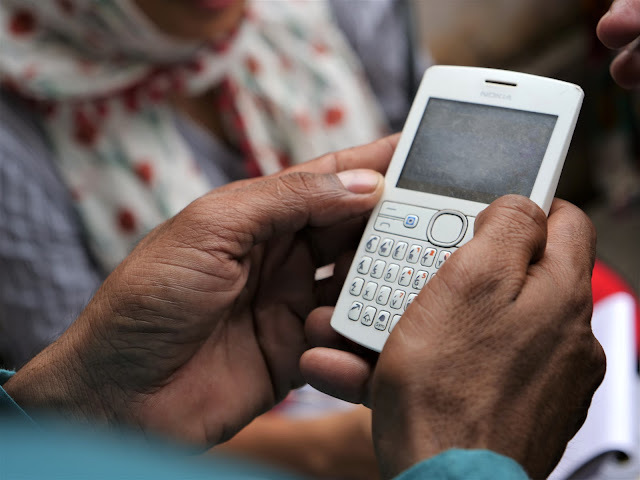 Evidence from the Sub Saharan regions can then inform countries like India about the enormous potentials of mobile money, and suggest innovative interventions to test its impact among poor, financially excluded populations. Giorgia Barboni is a Post-doctoral Research Fellow at the Trinity College Dublin and Research Affiliate at the Sant’Anna School of Advanced Studies, in Pisa (Italy), where she received her PhD in Economics in October 2012. Before joining Trinity College Dublin, she spent a visiting period at the University of St. Gallen and at the London School of Economics, as a Robert Solow Post-doctoral Fellow. Her research focuses on Development Finance, Experimental Economics and Financial Intermediation. She is currently involved in a series of field studies analysing the role of microfinance on poor populations and the impact of innovative interventions enhancing financial inclusion both in developing and developed countries. During her PhD, she worked as an intern both at the Bank of Italy and at the National Bank of Belgium.